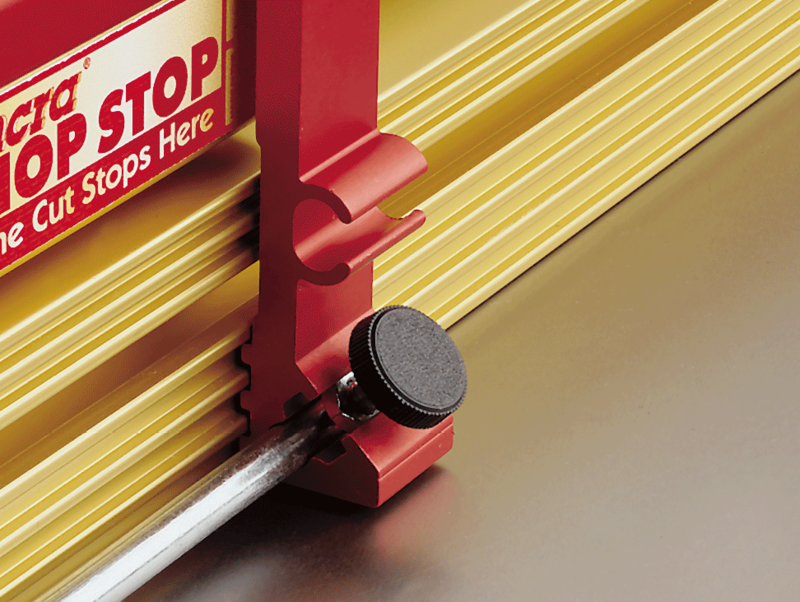 Flip Fence Owners Can Now Use the Best Stop Available. 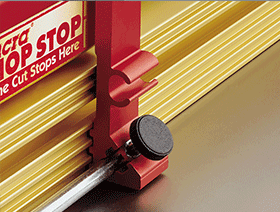 Designed for the IncraLOCK Flip Fence or the extending IncraLOCK Flip Fence SE, this stop gives you the most options and best performance of any stop on the market. 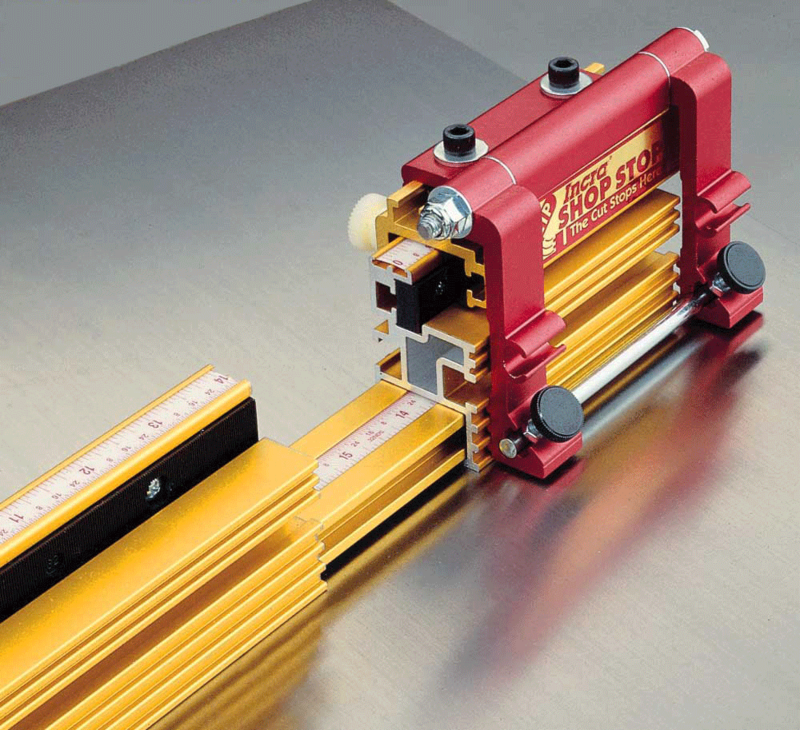 With multiple stop rods included and Dual-Arm construction, there is no situation it can't handle. 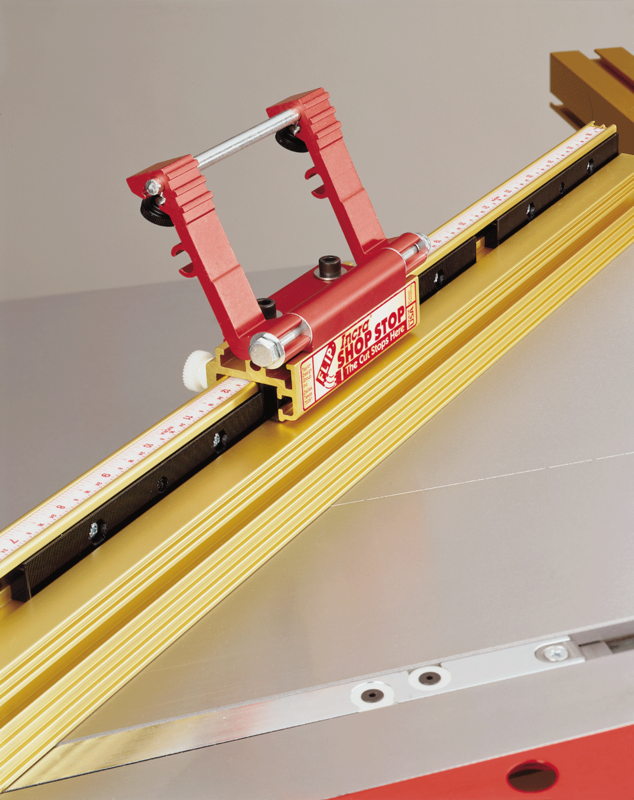 We even designed interlocking grooves in the arms and fence so that a sharply mitered workpiece can't slip behind the stop to give you an inaccurate cut. If you need a sacrificial fence for a particular job, just attach it to the Flip Fence like you normally would, and then adjust the body of the Flip Fence to match. It expands perfectly to work with all normal depth sacrificial fences. Stiff and strong, this tool is made from hardened aluminum and red anodized for long lasting finish. 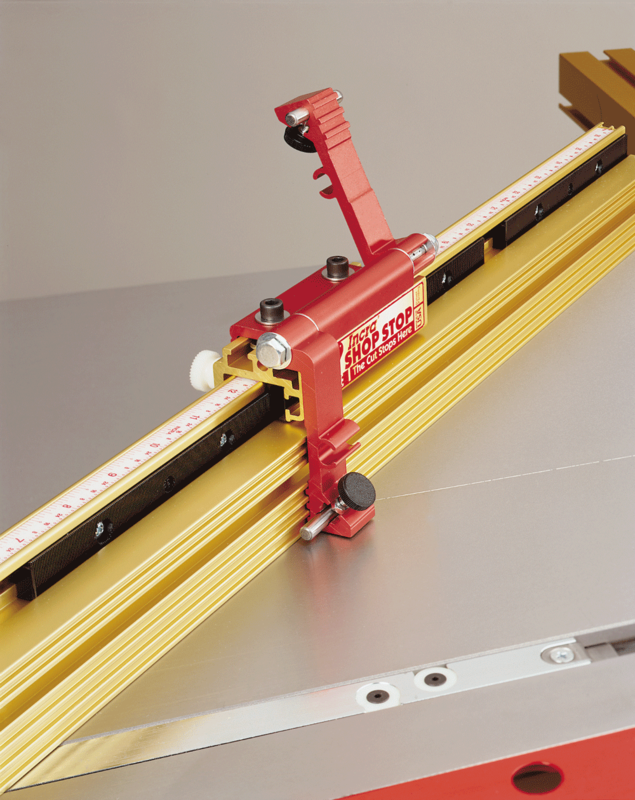 The arms have adjustable tension the expandable body is combined with the patented Incra rack precision postioning system. 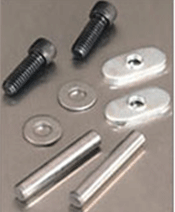 These accessory parts are also included with the INCRA Flip Shop Stop. 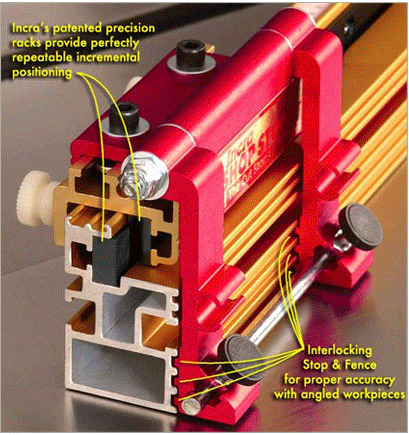 They include cap screws and T-clips for attaching your own accessory or sacrificial fence to your Flip Fence. 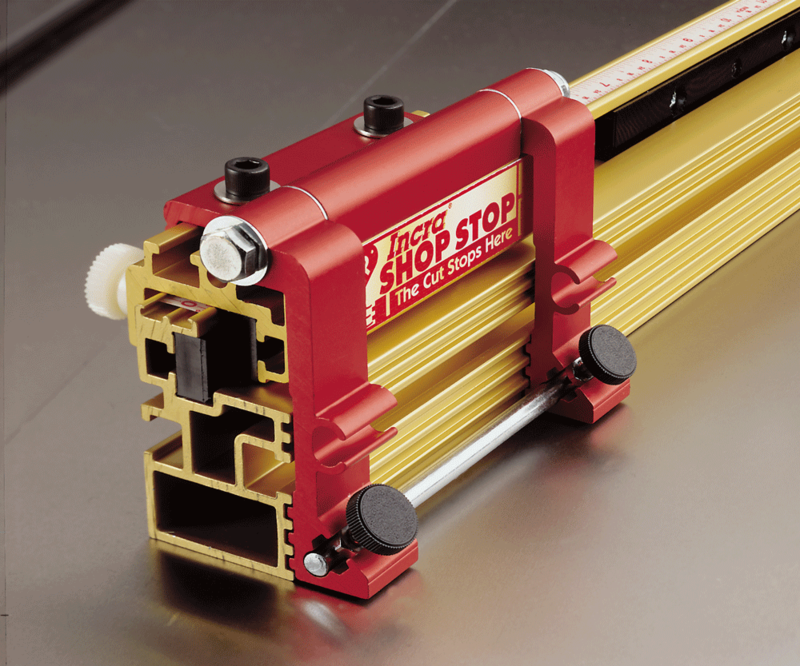 You can see the two shorter stop rods which allow the Dual Arms of the Flip Shop Stop to work independently for two different stops without moving along the fence. 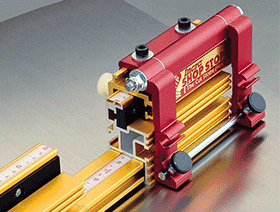 Click to download INCRA Flip Shop Stop Manual in PDF format. PARTS - INCRA Flip Shop Stop Parts for INCRA Flip Shop Stop.